Yoga guru Baba Ramdev-promoted Patanjali may have doubled its revenue growth target for the current financial year (2017-18) on hopes of improved sales prospects, but the company's select ayurveda products continue to face challenges on the quality front. 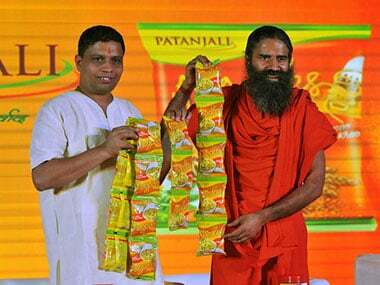 A Right to Information (RTI) reply revealed that Patanjali's products were among the nearly 40 percent ayurveda products that were of substandard quality by Haridwar’s Ayurveda and Unani Office, a Hindustan Times report said. According to the report, Divya Amla juice and Shivlingi Beej from the Patanjali stable were among the products that did not meet the quality standards. The latest quality test failure comes after the retailing platform for India's defence forces, the Canteen Stores Department (CSD), stopped selling its amla juice through its retail outlets last month. The defence canteen stores department's decision came after the company's product failed a quality test carried out at the West Bengal Public Health Laboratory. Uttarakhand state government's lab report said Patanajali products had less pH value than the prescribed limit, which could lead to acidity and other medical complications, the HT report said. 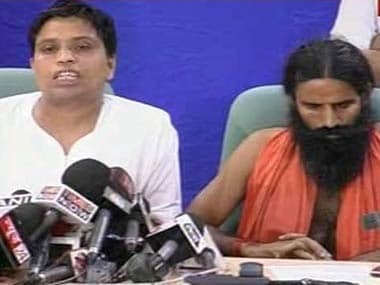 However, Patanjali’s managing director, Acharya Balkrishna did not agree with the lab report and said it was being done to malign the brand image. “Shivlingi Beej is a natural seed. How can we adulterate it?”, the report said quoting Acharya Balkrishna. In addition to Patanjali's products, 18 samples of ayurveda drugs such as avipattikara churna, talisadya churna, pushyanuga churna, lavan bhaskar churna, yograj guggulu, laksha guggulu were also found to be substandard, the report added. Since the launch of Patanjali products over a decade back, the company has faced several quality-related issues. Last year, Patanjali's advertisement for its honey products was contested by Dabur. Patanjali through its advertisements laid claim to its honey as being 'Purity ki Double Guarantee'. However, Dabur, which has a dominant share of the Rs 600 crore branded honey market, filed a case against the firm's advertising claims to the ASCI. 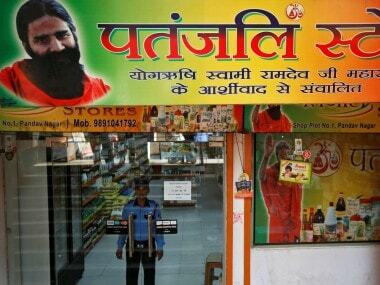 Acting upon the complaint, the ASCI directed Patanjali to either 'withdraw or modify its advertisement. The Consumer Complaints Council (CCC) found Patanjali's superior claim with regard to its kachi ghani mustard oil and debunking rival makers as selling it "adulterated with oil made by solvent extraction process with neurotoxin containing Hexane", was not substantiated. "Also, the claim is grossly misleading by exaggeration," the ad regulator said in its list for the month of April, 2016, in which it upheld 67 complaints made by Patanjali against several companies. Similarly, the brand also failed to substantiate its claims in the ad for cattle feed Patanjali gugdhamrut as "other companies mix 3 to 4 per cent urea and other non-edible things in their cattle feed." In May 2016, ASCI had rapped Patanjali Ayurved for "false and misleading" claims in its various advertisements, including its hair oil and washing powder brands. Despite all the controversies surrounding it, many of the company's products continue to attract strong consumer interest. Last month, the company said it is eyeing a two-fold jump in sales at over Rs 20,000 crore in the current financial year (2017-18) as it plans to double its distribution network to 12,000 across the country. The Haridwar-based FMCG firm had clocked a turnover of Rs 10,561 crore in the financial year ended 31 March, 2017.